The challenge with electrical faults is that you can’t usually see or hear them. 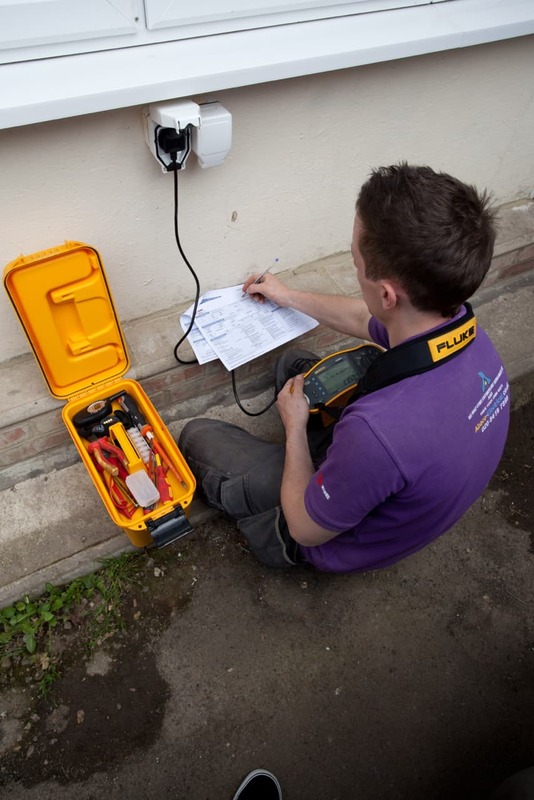 To detect any underlying problems with electrics we recommend a comprehensive test and inspection. If a tenant is leaving, order a test before you return the deposit. This will protect you if the electrical system has been damaged or tampered with during the tenancy. For example, if tenants have installed lights or dimmer switches, or fitted additional sockets, these are now part of your property. If they have not been properly installed, and a new tenant receives a shock as a result, you are liable. A proper test ensures that both you and future tenants stay safe. As a new tenant you should be given an electrical test report dated before your tenancy begins. Check that the number of electrical points shown on the test tallies with the points actually in place around the property. If in doubt, ask your landlord. The test should give you peace of mind, proving your landlord shows a proper concern for your safety. Testing your place of work ensures the safety of your staff and visitors while they are on your property. It can also prevent unexpected interruptions to your business as a result of electrical conditions that could have been found and put right after a proper test and inspection. Order a test and inspection of the property before you exchange contracts. This will give you a very clear idea of any future problems you may encounter once you move in. In some cases a property may need to be completely rewired, for example. Use the results of the test to negotiate with the seller, or with the estate agent, before the contract is signed. You could save yourself thousands of pounds. The test report is based both on visual inspection and test instrument results, giving you the best of both worlds. Conducting a full range of tests with our specialist equipment gives us an overall condition of the property – satisfactory or unsatisfactory – and much more. The report will make detailed recommendations based on current regulations. After inspecting the fuse board, sockets, switches, light fittings and earthing each item will be listed and given an appropriate code number ranging from 4 (not unsafe) to 1 (dangerous). Check out more information on codes here. Any works needed to bring your property up to current standards will be quoted for. If we complete the works, the retest is free. Download more help on testing here. We are always open to questions and will give you our best advice at all times, so please get in touch today for all your testing needs.